Mysteries on TV, your source for the most complete selection of detective, amateur sleuth, private investigator, and suspense television mystery series now available or coming soon to DVD, has four series that have season DVDs being released this week. Gene Barry starred as Los Angeles Chief of Detectives Amos Burke in Burke's Law, a popular series that aired on ABC for three seasons from 1963 throught 1966. The twist here was the Burke, a multi-millionaire, led an opulant lifestyle. The episodes featured unusual plot twists and were set in glamorous locations, attracting big name guest stars. Burke's Law Season One Volume 1 DVD set of 4 discs contains the first 16 episodes of the first season that aired from September 1963 to January 1964. Filmed in black and white, the episodes on this DVD set have been digitally remastered from the original 35mm master. Bonus material includes original commercials and previews. Long available on DVD as a mismatched assorted of individual episodes, the entire I Spy series is now available. Robert Culp and Bill Cosby starred as Kelly Robinson and Alexander Scott, international espionage agents whose respective covers as tennis pro and trainer took them around the world. The series aired on NBC from 1965 through 1968 and was one of the first to film many of its episodes outside the US. All three seasons of I Spy are being released simultaneously: I Spy Season 1 DVD set of 5 discs contains all episodes from the first season, I Spy Season 2 DVD set of 5 discs contains all episodes from the second season, and I Spy Season 3 DVD set of 5 discs contains all episodes from the third and final season. Intelligence is a Canadian crime series that shows the shifty nature of undercover information gathering, where your deadliest enemy can become your closest confidant and treachery is taken for granted. The series stars Ian Tracey as Vancouver crime boss Jimmy Reardon and Klea Scott as ambitious spy director Mary Spalding who forge a tenuous and dangerous relationship, one that threatens to expose them both to their enemies. The Intelligence Season 1 DVD set of 4 discs contains all 14 episodes from the first season that aired on CBC from September 2006 to January 2007. A Touch of Frost, which debuted in 1992, is a returning series that will air its 14th season during 2008. The series stars Sir David Jason as Detective Inspector William Edward "Jack" Frost, a policeman in the English town of Denton. The A Touch of Frost Season 13 DVD consists of but one single episode entitled Endangered Species that aired on ITV1 in November 2006. Mysterious Reviews, mysteries reviewed by the Hidden Staircase Mystery Books, has written a review of Death Was the Other Woman by Linda L. Richards. For our blog readers, we are printing it first here in advance of its publication on our website. Synopsis (from the publisher): As the lawlessness of Prohibition pushes against the desperation of the Depression there are two ways to make a living in Los Angeles: join the criminals or collar them. Kitty Pangborn has chosen the crime-fighters, becoming secretary to Dexter J. Thomas, one of the hard-drinking, tough-talking PIs who pepper the city’s stew. But after Dex takes an assignment from Rita Heppelwaite, the mistress of Harrison Dempsey, one of L.A.’s shadiest – and richest- businessmen, Kitty isn’t so sure what side of the law she’s on. Rita suspects Dempsey has been stepping out and asks Dex to tail him. It’s an easy enough task, but Dex’s morning stroll with Johnnie Walker would make it tough for him to trail his own shadow. Kitty insists she go along for the ride, keeping her boss – and hopefully her salary – safe. However, she’s about to realize that there’s something far more unpleasant than a three-timing husband at the end of this trail, and that there’s more at risk than her paycheck. Review: Long-time fans of hard-boiled detective writers Dashiell Hammett and Raymond Chandler or newcomers to the genre are in for a fun ride when Linda L. Richards’ 1930s gal Friday, twenty-one-year-old Katherine “Kitty” Pangborn, and her liquor-loving L.A. gumshoe boss, Dexter J. Theroux, team up to solve a missing persons (or is it murder?) case in Death Was the Other Woman. Richards has got everything about the genre down pat. “Dex is tall and dreamy,” she says. “Oh. Sure, he’s a mook, but he’s the kind of a mook that can heat a girl’s socks, if you follow my drift. The kind that can get your lipstick melting.” But Dex has got a problem with booze, bad memories from The Great War and getting enough clients for a regular pay check for him and Kitty. But when Rita Heppelwaite comes calling in “her apple-skin tight dress,” offering Dex a bundle to spy on her boyfriend, Dex and Kitty are off and running. They ramble around L.A. by Red Car street car or in a rented auto with “a new bottle of Jack Daniel’s on the passenger seat,” stopping at speakeasies, nightclubs and casinos in search of the two-timing married boyfriend who may or may not be “chilled, neat and sweet.” And while they follow the clues from L.A. to ‘Frisco they’re surrounded by characters as memorable as any that Sam Spade or Philip Marlowe might know. Besides Rita and her missing married squeeze, there’s Dex’s army friend, “a fixer,” and tough guy sidekick, Mustard aka “Mus,” and Kitty’s former housekeeper Marjorie Oleg, and now her landlady, after Kitty’s father simultaneously took a bath and a dive in the stock market crash of ’29, and Marjorie and her husband took over the homestead and turned it into a rooming house. It becomes a hideaway too for “Brucie,” the young wife of a dead mobster, “a torpedo.” She’s got ties to others besides her dearly departed, much to Kitty’s surprise. Then there’s Lilla Dempsey, the wife of her married boyfriend Rita wanted found, and a Rita Mayhew, who may or may not be the alias for another character that turns up in the most unexpected of places. Hopscotch, a big-time gambler, and his threats about welchers getting “zotzed” also has his role to play. And, of course, there’s a dead guy in a bathtub and the riddle of who he is, where the body was found, how it got there, why it suddenly disappears, and where it turns up. And what do the two steamship tickets that Kitty finds have to do with the case? Special thanks to M. Wayne Cunningham ([email protected]) for contributing his review of Death Was the Other Woman and to St. Martin's Minotaur for providing a copy of the book for this review. 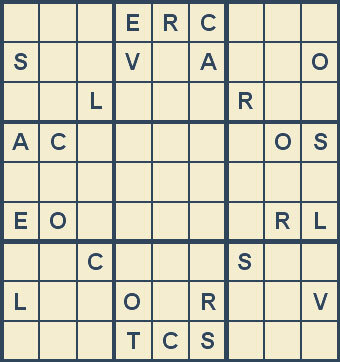 This week's letters and mystery clue: A C E L O R S T V. This mystery series by Susan Conant features amateur sleuth Felicity Pride (9 letters). Mysterious Reviews, mysteries reviewed by the Hidden Staircase Mystery Books, has written a review of Death Comes By Amphora by Roger Hudson. For our blog readers, we are printing it first here in advance of its publication on our website. Synopsis (from the publisher): In Ancient Athens in 461 BC, aristocratic General Kimon has driven back the might of the Persian Empire and forged a new empire for Athens, making his city the commercial centre of the Eastern Mediterranean. Now he is struggling for his political existence against the radical democratic reforms of the demagogue Ephialtes and his ambitious supporter Perikles. Into this political turmoil steps Lysanias, just 18, just reached manhood, and an innocent amidst the deceit and corruption of the big city. Recalled from an Athenian colony by a mysterious message from his wealthy uncle Klereides, he discovers that his uncle has died in suspicious circumstances, that he is the heir, and that his obligations now include marrying his uncle’s teenage widow. Convinced that his uncle was murdered and driven by the ancient duty of vengeance, Lysanias sets out to discover the truth, aided by his elderly slave Sindron. Their investigations take them deep into the murky interlocking worlds of Athenian politics, business, finance, religion and even art, where it seems Klereides had many enemies and where even his friends cannot be trusted. With his own loyalties torn between the rival political factions, aristocrats and workers, due to his early training as an artisan, Lysanias himself faces violent death before he and Sindron discover the culprit and Ephialtes’ assassin. Review: With a combination of scholarly research and highly creative imagination British author Roger Hudson has fashioned a believable and highly readable story in Death Comes By Amphora, a murder mystery that could as easily happened in Greece’s Golden Age of Athens as in modern America. Hudson admits in an author’s insightful afterword that not much is known about the times in which his novel is set so he has used a certain degree of literary license to create the settings, the atmosphere, the characters and even the events he interweaves into his plot. It is a masterful job with references to the city of Athens’ known landmarks, to the Greek gods and goddesses, to historical icons, and to characters with Greek names and their interests in the politics of the day. And in the middle of it all are the central characters, “18 yesterday” Lysanias, now a designated citizen with a vote, and his older slave and mentor, Sindron. As it turns out the pair could easily have been the prototypes for Sherlock Holmes and Dr. Watson in their reliance on observation and deductive reasoning to solve the murder of Lysanias’ opulent uncle Klereides, done in by a huge shipyard amphora falling on him when he is lured to the docks late at night for a meeting with a stranger. While some believe the death to be an accident, especially those who might profit by it, Lysanias follows the clues, and tracks the suspects he believes have placed profit ahead of justice. With Sindron as his assistant and a sounding board for his theories, he mingles with business leaders, mixes with politicians and generals, and sorts out the good from the bad among his relatives, including a belligerent cousin and his domineering grandmother, Makarias. He reserves a couple of trysts for his own exploration with the 15-year-old wife of his uncle whom he is now obligated by custom to marry, a custom he is quick to embrace, literally as well as figuratively in a couple of lively scenes. In addition to the intrigue over the uncle’s death, there are concerns and physical clashes between the lower classes of artisans and workers and the elite, ruling class, causing further conflict for Lysanias who straddles both camps, formerly as an artisan and now as a wealthy tycoon. Sindron as well brings his cartload of conflicts, torn between loyalty to Lysanias, his dipping into his master’s funds for a risky venture and the lure of easy money for spying upon him for bankers with motives of their own. In the end loyalty to friends and to family wins out with Sindron occupying a place of influence in Lysanias’ new household after a murder has been solved, a political resolution to it being accepted by Lysanias even though Sindron’s “sense of rightness, of justice would be outraged he knew.” And in the final paragraph there’s a door, or should we say a portico, left open for a sequel or two with the Athenian dynamic duo. Sometimes told from the point of view of different characters, but always consistently true to the plot, atmosphere and setting, Death Comes By Amphora is a first-rate history/mystery, complete with credible maps of the Athens and the Agora (city market place) of 461 BC, a list of characters with the names in italics of those who were known real people, and the author’s two-page historical note about the history used in the book. Special thanks to M. Wayne Cunningham ([email protected]) for contributing his review of Death Comes By Amphora and to Roger Hudson for providing a copy of the book for this review. A list of the top 15 mystery hardcover bestsellers for the week ending April 25, 2008 has been posted on the Hidden Staircase Mystery Books website. A major reordering of the bestselling mysteries this week with The Miracle at Speedy Motors by Alexander McCall Smith assuming the top position on this list. New this week: Coming in at number 12 is The Whole Truth, an international thriller by David Baldacci. Mathew Pender works for a shadowy organization that specializes in managing seemingly impossible situations for its clients. Sometimes, those services extend to managing--and creating--armed conflict. When Matt is asked by his client--the largest defense contractor in the world--to manipulate two nations against each other, a shocking and surprising series of events are set in motion that will possibly bring the world to the brink of World War III. Mysterious Reviews, mysteries reviewed by the Hidden Staircase Mystery Books, has written a review of The Poetry of Murder by Bernadette Steele. For our blog readers, we are printing it first here in advance of its publication on our website. Synopsis (from the publisher): During her time at the International House of Chicago, aspiring African American poet, Geneva Anderson has met people from around the globe, listened to debates about world issues and celebrated the arts. But with the arrival of a new year, Geneva will also discover that an inheritance can be a blessing and a curse. After her aunt, Victoria Franklin, the director of the International House of Chicago is murdered; Geneva’s life is unraveled by a mysterious inheritance and a murder charge. With the help of her best friend, Zain Valdez, Geneva decides to investigate her aunt’s murder. Geneva’s investigation leads her to the revelation that her beloved aunt led a secret life and that the list of suspects even includes her academically accomplished neighbors. To clear herself, she must navigate through a web of lies, secrets, and revenge until she learns the poetry of murder. Review: Bernadette Steele introduces poet fellowship recipient Geneva Anderson who is suspected of killing her wealthy aunt in The Poetry of Murder. Geneva is staying at International House while composing a book of poetry as part of her studies. Her aunt, Victoria Franklin, is the director of the facility. (Note: International House at the University of Chicago is real place. Its mission is to promote cross-cultural understanding, mutual respect and friendship among students and scholars and on the part of the people of metropolitan Chicago toward individuals of all nations and backgrounds.) When Victoria is murdered in a ritualistic fashion, Geneva becomes a suspect. Her motive: she is the sole beneficiary of $10 million. When she's released on bail, Geneva is determined to clear her name and identify the person, or persons, who killed her aunt. As the first book of a series, The Poetry of Murder has much going for it. It introduces an appealing character in Geneva Anderson, and the setting of International House that offers a multitude of scenarios around which to construct a series of mysteries. Unfortunately, and somewhat ironically, Geneva plays a subordinate role to her supporting characters that are more richly drawn and seem to have greater dimension. For example, the detective in charge of Victoria's murder, Yvonne Peterson, has a much larger profile than Geneva and is arguably more interesting. Though the plot of the book is intricate and well-thought out, the narrative at times seems disjointed or incomplete, failing to deliver on the promise of the intrigue behind the murder. Part of the problem here is that there are too many points of view. Virtually all of the principal characters have something to say, and many (maybe most) do not contribute to the continuity of the story in any meaningful way and are simply unnecessary distractions. The Poetry of Murder provides a good introduction to a series worth watching, but tighter and more judicious editing of subsequent books will be required to maintain readers' interest over the long term. Special thanks to Bernadette Steele for providing a copy of The Poetry of Murder for this review. 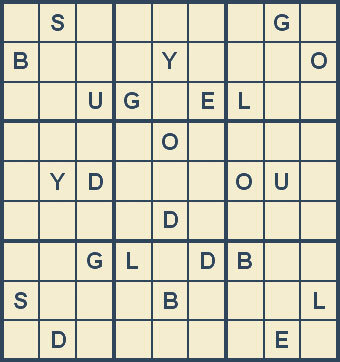 This week's letters and mystery clue: B D E G L O S U Y. This district attorney was featured in a series of novels by Erle Stanley Gardner (9 letters). • In a press release Lifetime has announced that it will adapt two novels by Patricia Cornwell for television. The books are At Risk, published in 2006, and The Front, a sequel scheduled for publication next month. Cornwell, who will also executive produce, said, "I am excited and honored by this new creative partnership with such an outstanding network and believe that together we can bring to life stories and characters unique to the crime-writing genre." • In related news, The Times will be serializing The Front for 10 days over the next 2 weeks. The online edition of the newspaper also has an interview with Patricia Cornwell. • Otto Penzler's entertaining column on NYSun.com features one of his mystery quizzes, this one titled "Did You Know?" • A rare copy of Arthur Conan Doyle's first Sherlock Holmes adventure, A Study in Scarlet, has been found in an Oxfam store in Harrogate, reports the Knaresborough Post. Originally published in 1887 by Beeton's Christmas Annual a year before it appeared in book form, it will be sold at auction on May 20th where it is estimated to fetch £9000 (about $18,000). • Two months ago, Mystery Books News reported that The Telegraph had compiled a list of the 50 greatest crime writers of all time. Now The Times has released its selection of the 50 greatest crime writers. The top 5 are Patricia Highsmith, Georges Simenon, Agatha Christie, Raymond Chandler, and Elmore Leonard. Mysterious Reviews, mysteries reviewed by the Hidden Staircase Mystery Books, has written a review of Death Walked In by Carolyn Hart. For our blog readers, we are printing it first here in advance of its publication on our website. Max Darling hasn't been interested in crime since his brush with a seductive young woman put him in danger of losing his freedom. He even refuses to talk to a woman who calls for help and says she is afraid. The caller leaves word she's hidden something in the antebellum house Max and his wife, Annie, are restoring. When Annie finds out, she hurries to the woman's home, only to discover her shot. Annie hears her final whisper as she holds the dying woman's hand. Review: Carolyn Hart's 17th mystery in the Death on Demand series, Death Walked In, has mystery book store owner Annie Darling in a quest for a treasure of lost gold coins. It is February on Broward's Rock, the resort island off the South Carolina coast, it's damp and cold and there are few visitors. When Annie is called to go to the home of Gwen Jamison who says that she is afraid of something, Annie finds her shot and dying. Without any proof, the police immediately arrest Gwen's son, Robert, for her murder. He is a high-school dropout and a rabble rouser. He has been in trouble before, but nothing violent. Though Annie's husband Max is able to obtain an alibi for Robert from the minister of the local Baptist Church, it's a mixed blessing. Much to the minister's chagrin, Robert was with his daughter during the time of the murder. This does not completely satisfy the police as some of Gwen's blood was found in his car as was the gun used to shoot her. The questions still unanswered are: if Robert is innocent, who planted the gun and blood in his car? And where is the fortune of gold coins that has gone missing from a historic house that the Darlings are restoring? The mysteries in this series have typically been in the style of Agatha Christie's Miss Marple stories, some more so than others, and with varying degrees of success. Death Walked In is one of the better ones and deservedly so. The plot is tightly constructed, and the suspects, though numerous, are well delineated. The romantic interplay between Annie and Max is a bit overdone at times, but they make a good investigative team. When Annie figures out where the coins are and their link to Gwen's murder, it's a puzzle worthy of the grand master herself. Special thanks to guest reviewer Betty of The Betz Review for contributing her review of Death Walked In and to HarperCollins for providing a copy of the book for this review. A list of the top 15 mystery hardcover bestsellers for the week ending April 18, 2008 has been posted on the Hidden Staircase Mystery Books website. Nevada Barr's latest Anna Pigeon mystery, Winter Study, jumps into second position this week with only minor changes for the remaining top 7 from last week. New this week: In 9th position is The Miracle at Speedy Motors, the 9th mystery in the No 1 Ladies' Detective series by Alexander McCall Smith. Precious Ramotswe is busy investigating her latest case: a woman who is looking for her family. The problem is, the woman doesn't know her real name or whether any members of her family are now living. Meanwhile, Phuti Radiphuti has bought Mma Makutsi a glorious new bed. Unfortunately, it will inadvertently cause her several sleepless nights. And life is no less complicated at Tlokweng Road Speedy Motors, where Mr. J.L.B. Matekoni—Mma Ramotswe's estimable husband—has fallen under the sway of a doctor who has promised a miracle cure for his daughter's medical condition, which Mma Ramotswe finds hard to believe. But Precious Ramotswe deals with these difficulties with her usual grace and good humor, and in the end discovers that the biggest miracles in life are often the small ones. Also new this week: In 12th position is a non-series thriller by Harlan Coben, Hold Tight. Tia and Mike Baye never imagined they'd become the type of overprotective parents who spy on their kids. But their sixteen-year-old son Adam has been unusually distant lately, and after the suicide of his classmate Spencer Hill—the latest in a string of issues at school—they can't help but worry. They install a sophisticated spy program on Adam's computer, and within days are jolted by a message from an unknown correspondent addressed to their son: "Just stay quiet and all safe." Meanwhile, browsing through an online memorial for Spencer put together by his classmates, Betsy Hill is struck by a photo that appears to have been taken on the night of her son's death ... and he wasn't alone. She thinks it is Adam Baye standing just outside the camera's range; but when Adam goes missing, it soon becomes clear that something deep and sinister has infected their community. For Tia and Mike Baye, the question they must answer is this: When it comes to your kids, is it possible to know too much?